BT2796-OB is rated 4.7 out of 5 by 20. 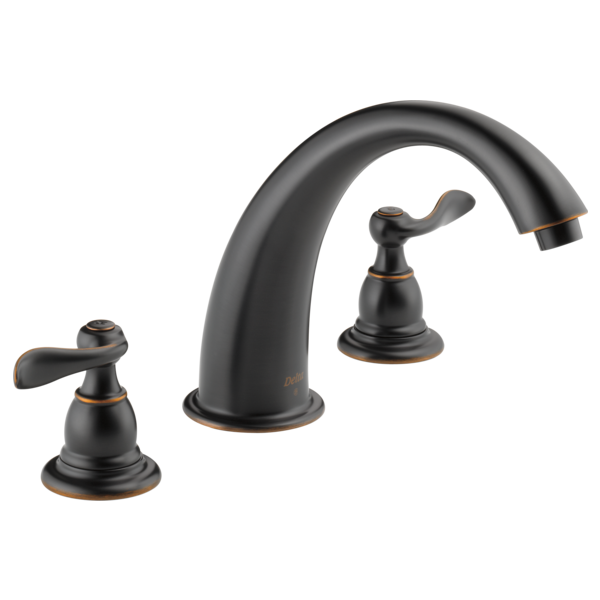 Rated 5 out of 5 by SANDEE from Windemere Roman Tub Faucet I replaced some old, dated faucets on a garden tub for a client and they loved it. It looks great and works great. The extension of the faucet is a good reach to fill the tub. It is a gorgeous finish and nice design. 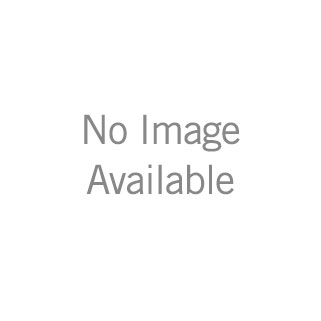 Very good pricing for this attractive, good quality package. Will this faucet fit on the rough valve for a Delta 2710PB. 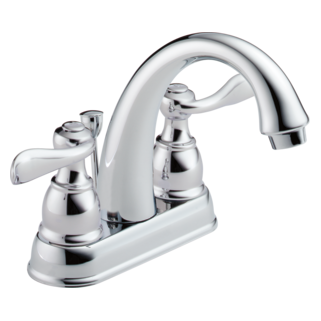 I presently have a 2710PB tub faucet. 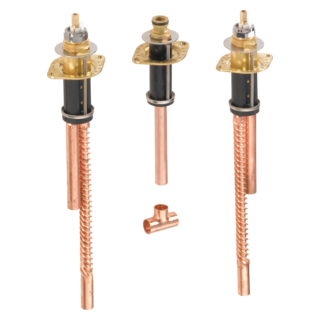 Will the BT2796-OB install properly using the rough valve installed for the 2710PB? I also need a diverter valve for the hand shower. 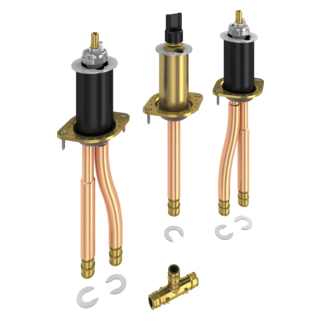 Do you have a matching trim for the diverter valve? It is not that the BT2796_OB won'y fit, as it Will But there will be a hole to the side of the spout, which possibly can be repaired with a garden tub repair kit for tile etc. This is what Delta CSR recently told me and I plan on trying it. 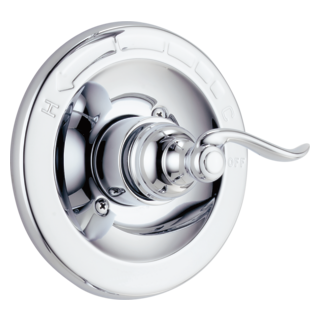 We just moved into a home built in 1991 and it has a roman tub with a 10&quot;center knobs and a 11+ inch spout in chrome. It leaks constantly and I am not sure who the manufacturer is. I think it is a Delta, but not sure. I would like to replace it with a newer unit, but don't know which ones would fit. I would like the replacement to be in oil rubbedl bronze. Can you advise please. Thank you for your question. 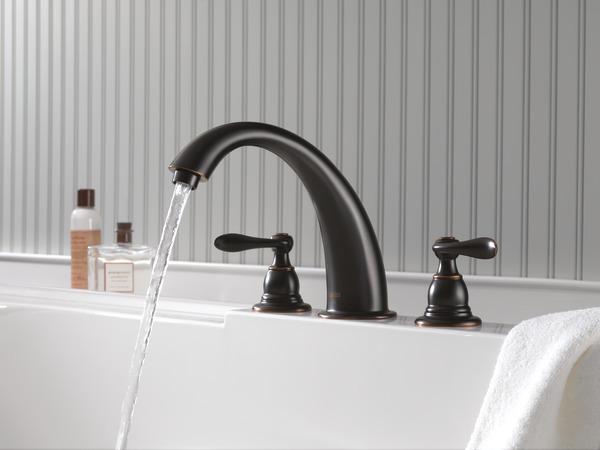 Without knowing whether or not you have a Delta Faucet rough-in valve in your roman tub, we cannot recommend any Delta Faucet trim. 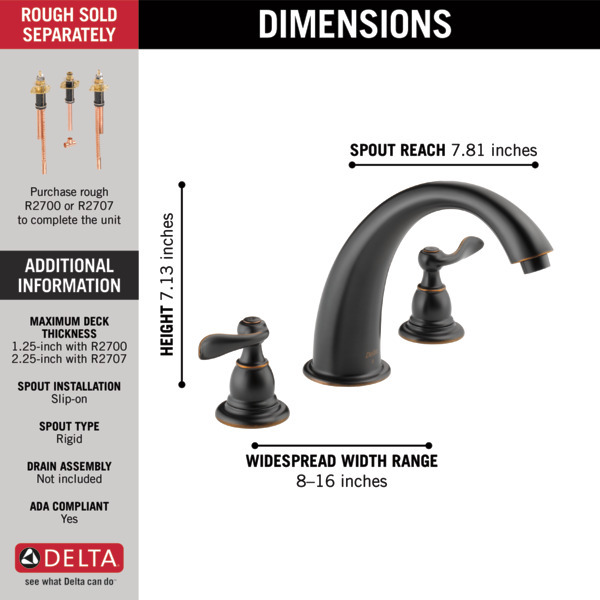 If you could send a picture of the top of your rough-in valve to our Home Owner line at customerservice@deltafaucet.com, they will be able to identify it being a Delta or not. I would like to make sure that this Windemere Roman Tub Trim is a proper replacement for the 12 year old delta faucet I currently have, thanks. Does this faucet come with handle cartridges? And if not please advise what part number is for this faucet. What is the rough in kit item number for BT2796-OB? Thank you for your question. 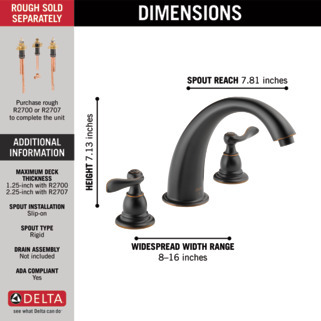 Delta Faucet model # BT2796-OB will need a rough-in kit with the model number of R2707 to make a complete faucet. We are trying to upgade the look of our 26 year old Delta Roman Tub. It is on 10&quot;centers. 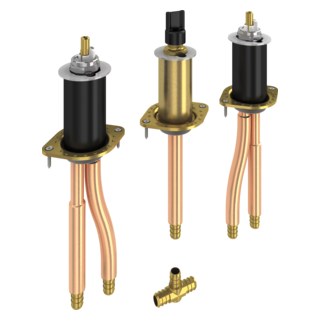 Should this product fit without having to replumb using the rough in kit? Thank you for your question. Since the faucet you have now is a Delta Faucet, you should have no trouble with any of our current Roman Tub trim kits.